Learn how to take your business to the next level and how to navigate the next set of challenges that growth brings. Providing you with a tailored package of support as you scale up, our programme can help you to set up and run R&D projects in collaboration with the SETsquared universities, as well as access investment, sales channels and new talent. Navigating the resources and facilities within universities can be challenging. Our Scale-Up Programme provides one route to establish contact with world-class academics plus their resources and facilities at the SETsquared partner universities of Bath, Bristol, Exeter, Southampton and Surrey as well as the University of Cardiff. Equally understanding the R&D grants funding landscape can be time-consuming and knowing how to write a successful bid is a skillset of its own. Working with an academic partner on a grant funding bid application increases the likelihood of it succeeding. The Scale-Up Programme can help identify appropriate R&D grants funding calls and potential research partners from within five universities. We can also provide financial support to ensure a high-quality bid is submitted with the greatest chance of getting funding. Want to know how our Scale-Up Programme can support your growing business? 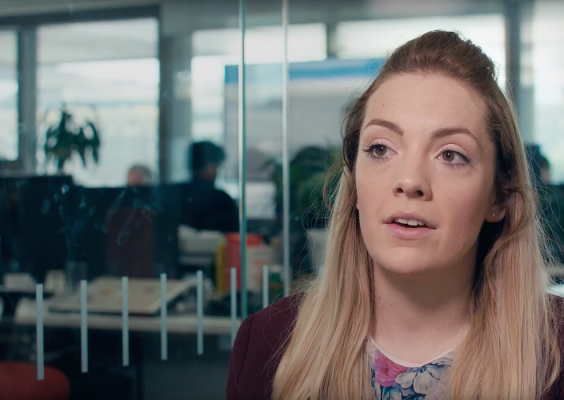 Find out first hand from these SME founders how SETsquared support has helped propel them to the next level of growth. Whether you’re seeking post Seed or Series A investment, SETsquared can offer you access to an active and established network of investors as you scale up. We have introduced an online Investment Platform where your investment opportunity will be promoted to both active technology investors and corporate venturing teams. Equally, if you’re seeking corporate customers and partners, the Scale-Up Programme will help you identify the most appropriate prospects and make introductions. We know that recruiting the right talent at the right time in your growth, is a key challenge. Universities are a hotbed of talent and ideas. Our Scale-Up Programme can help you access the best talent from within our five university partners as well as the University of Cardiff. This could take the form of a number of different placements including Knowledge Transfer Partnerships, student internships or graduate recruitment. Our highly experienced team come from a range of backgrounds and industries with capabilities in business growth, research and innovation, project delivery, technology roadmapping, sales and investment. The Scale-Up team will draw on their own knowledge and experience as well as SETsquared’s extensive network of entrepreneurs and professionals to help drive your business growth, explore new sectors and identify new customers and investors. You must have an ambition to utilise the knowledge base of the SETsquared Universities to strengthen your innovation strategy. Kelda has gone from strength to strength and we have a highly ambitious growth plan. The support we have received from SETsquared has been invaluable because it has enabled us to develop our technology and scale our business. We’ve found new customers and raised investment as a result of SETsquared’s expert mentoring and guidance. We will allocate places based on the strength of the business case put forward in your application and we will be in touch if you’ve been successful with your application.